This morning’s sunrise… a little different. My. They do build fast in Australia. Very different. What brought you to the big smoke? Well actually... a dinner invite to Sydney Parliament House to celebrate the 2016 NSW/ACT RIRDC Rural Women's Award, very fittingly on International Women's Day. This is different. I am used to see life on the farm. Nice shot. It it is a very nice photo, but where is it? Sydney? Yes Sydney. 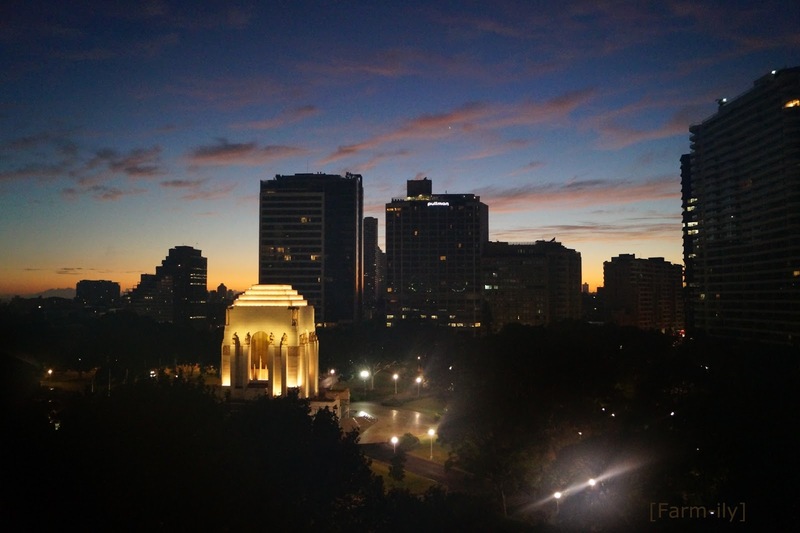 The building lit up is the ANZAC Memorial in Hyde Park. That is different and a great shot. I wondered where you went.... You are still the Queen of Sunrises!